Although the grogues of Cabo Verde have been seeping through our rumconsciousness for years now, it’s a curious thing that there are almost no reviews to be found online at all. All we have is rumours and quiet whispers in the dark corners of smoke-filled tiki-bars, random small comments on FB, and stories that Luca Gargano of Velier has been sniffing about the islands for years, perhaps putting together another series of organic, pure single rums designed to wow our socks off. 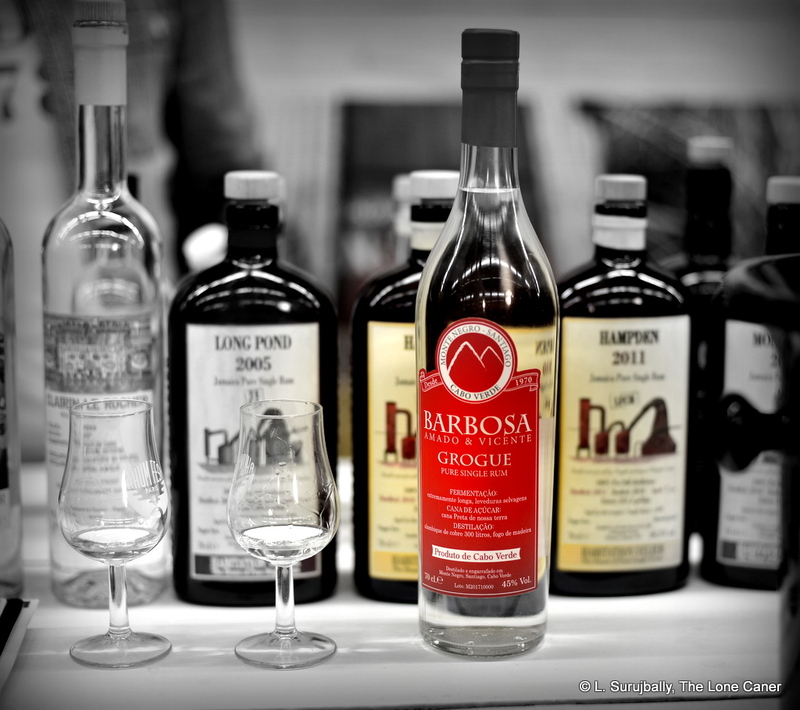 2019 might at last, then, be the year to change that, as grogues were quite visible in the Paris rhumfest in April, and one of them was the Barbosa grogue, which I just so happened to try at the Habitation Velier booth, where, after exchanging pleasantries with Daniel Biondi, I rather cheekily helped myself to a hefty shot of this thing and sat back to await results. Not without a little trepidation, mind you. 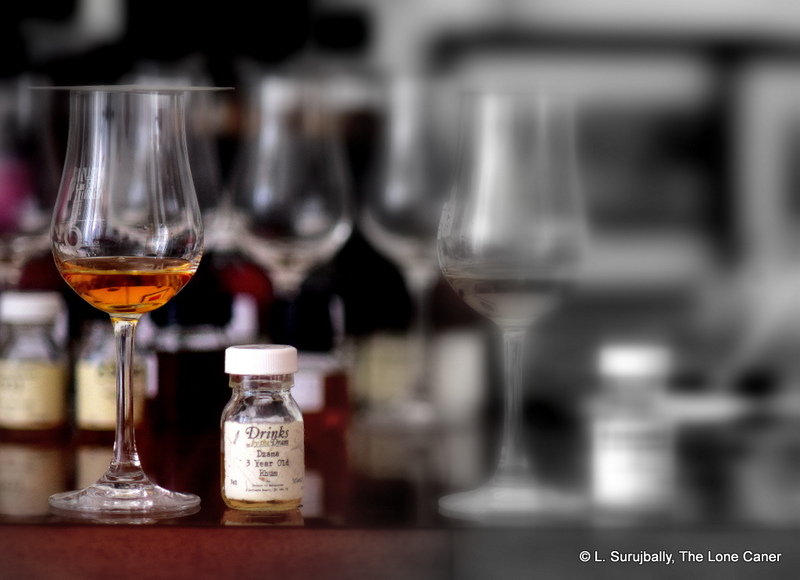 Because, you see, the lost world mystique hanging around them creates an aura about these almost unknown rums made in remote lands in traditional ways, in a way that make them rums of real interest. They’re supposedly throwbacks to the way “rums ought to be,” the way “they were once made” and all sorts of stuff like that. 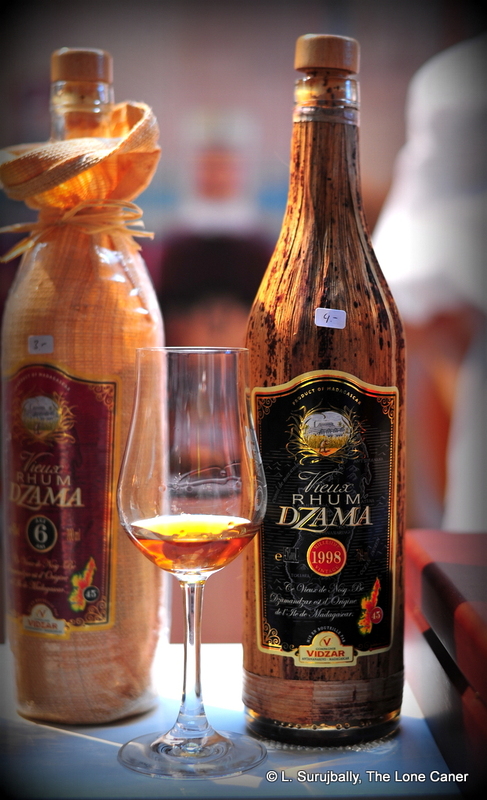 Artisanal, untamed, simple rums, brewed the same way for generations, even centuries, akin to Haiti’s clairins or the original cachacas. Which may be why Luca keeps going back to the place. Such preconceptions made the tasting of the Barbosa grogue (or, as it is noted on the label “Amado & Vicente Barbosa Grogue Pure Single Rum”) an odd experience – because in reality, it conformed to few of the profile markers and tasting notions I was expecting, based on the remarks above. The nose of the 45% white was decidedly not a sledgehammer to the face, and not an over-amped nostril-shredder ready to give week-long nosebleeds. Instead it was actually quite gentle, almost relaxed, with light aromas of olives in brine, green grapes, pineapples, apricots (minus the sweet syrup), grass, cooking herbs like dill, and quite a lot of sugar water, more than in most blancs I’ve tried. It wasn’t hot, it wasn’t fierce and it wasn’t feral, just a real easy rum to appreciate for smell alone. This was also the case when tasted. The bright and clean fruity-ester notes were more in evidence here than on the nose — green apples, sultanas, hard yellow mangoes, thyme, more pineapples, a bag of white guavas and watery pears. There was a hint of danger in the hint of cucumbers in white vinegar with a pimento or two floating around, but this never seriously came forward, a hint was all you got; and at best, with some concentration, there were some additional herbs (dill, cilantro), grass, sugar water and maybe a few more olives. I particularly liked the mild finish, by the way – clear and fruity and minty, with thyme, wet grass, and some almonds and white chocolate, sweet and unassuming, just right for what had come before. All that out of the way, what to make of this interesting variation of rum, then? Well, for one thing, I felt that 45% strength was perhaps too light to showcase its unique nature…jacking it up a few extra points might be worth it. It started off gentle, and underneath the sleek and supple silkiness of that initial taste you could sense some serious animal lurking, waiting for its own moment to come out and claw your face off. But this never happened. It stayed low-key and seemed surprisingly reluctant to come out and play with any sort of violence. So, a tasty and a fun drink, the purity evident, the unmessed-with nature of it a blessing…yet not different enough from better-known and better-regarded French island blancs to carve out its own niche in a market with ever increasing amounts of artisanal white rums competing for eyeballs and shelf space. I’m not saying it must have madness and fury to succeed; nor does it need to rack up street cred by being like the Mexican Paranubes or the Sajous, the other poster children for cheerfully nutso white rums. We must accept that the Barbosa grogue lacks that distinctive spark of crazy which would immediately set it apart from any other rums on the planet, something specifically and seriously its own. But I also believe you can buy it and love it exactly as it is and you won’t be disappointed – because it is a more civilized and elegant rum than you might expect. And it’s worth a more serious look and maybe a buy, just to sample the sippable, approachable and enjoyable charms it presents, and get a whiff of something interesting, even new. Grogue is the local creole version of the word grog, and it hails from the same source. Cabo Verde (or Cape Verde) is a group of ten Atlantic islands off the west coast of Africa due west of Senegal. They are part of the same geographical eco-region as the Canaries and Azores and Madeira. Unlike them, Cabo Verde is independent and not an autonomous part of any European nation.